More GlamGlow products for you? 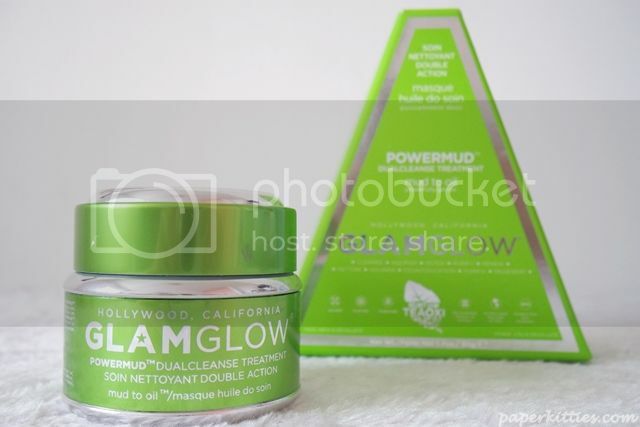 Yet another to join my ever growing GlamGlow collection, today I will be reviewing about the GlamGlow Powermud Dualcleanse Treatment! Basically, it’s a mud-to-oil, gentle, deep cleansing treatment that removes the weekly buildup of dirt, oil, and makeup. Comparing to Supermud and Youthmud, the Powermud is the gentlest of them all. 1. OILIXER™ – a custom blend of 4 powerful, rare and non-greasy cleansing oils: prickly pear, pine, fankincense, and myrh. 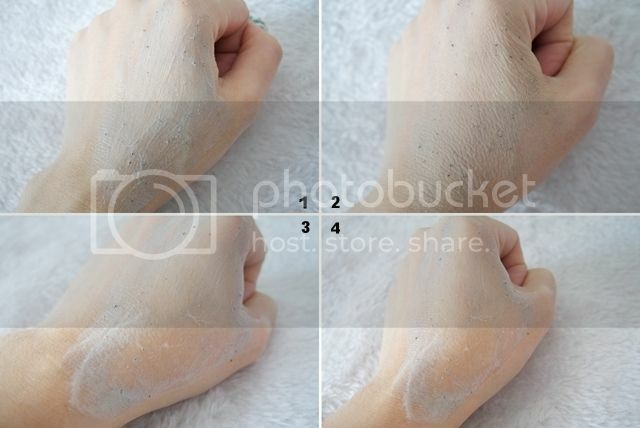 2.CLAYTOX™ – serves as a detoxification and cleansing with a four-clay blend of Brazilian white, betonite, kaolin and green clays for an ultragentle but maximum cleanse. 3. PUREIFIER™ – a mix of cleansers, astringents and exfoliators to dramatically purify and condition the skin. With a luxurious gel-cream consistency and a crisp scent, skin is left feeling velvety soft and dry (with no tightness) after each usage. To use, apply a thin layer to your dry face and wait 5-10 minutes. Next, massage it out with water to turn it into an oil before washing it off. 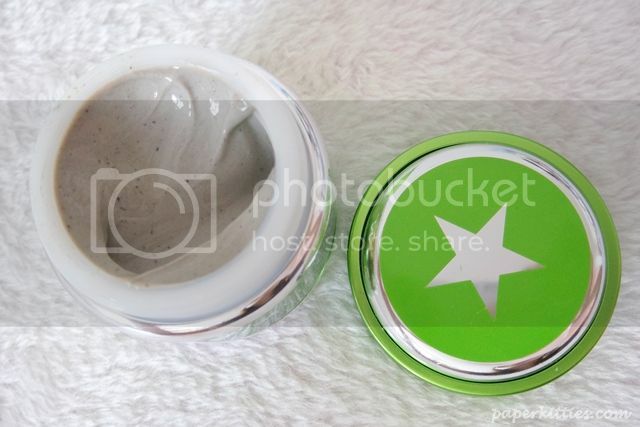 GlamGlow Powermud can be used once or twice a week to deeply cleanse your leftover dirt, oil and impurities. Bye bye clogged pores! 2. 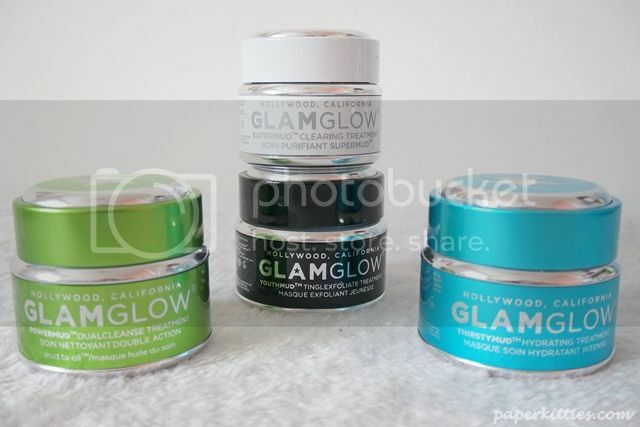 GlamGlow Supermud and Youthmud – You can use them all over your face on its own (choose only one, not two in one day!) or treat them at specific area, Youthmud on your U-zone for anti-aging benefits and Supermud on your T-zone to draw out all the impurities. 3. 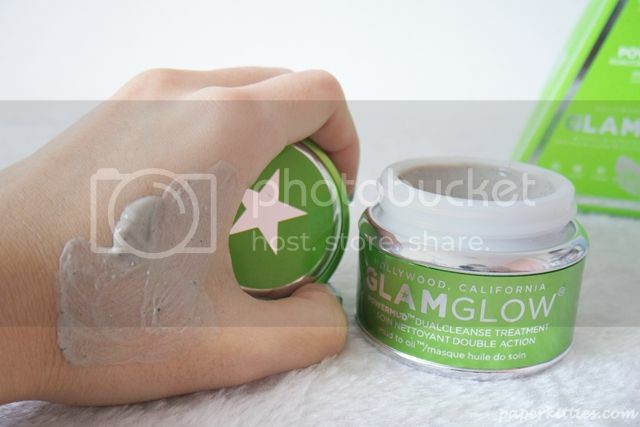 GlamGlow Thirstymud – to deliver instant hydration. For this you can choose to wash off after 20 minutes or leave it overnight. Each to their own. This ritual is a must for me after every holiday trip. As I tend to skip quite alot of my skincare steps during my holiday for the sake of packing light, my skin tend to be in a bad shape with blackheads threatening to squeeze itself out of my skin by the end of every trip :/ Nothing to thoroughly cleanse these gunk without drying out my skin than this 3-step masking ritual that I swear by!